It can be daunting, trying to find the right solution to your eyesight problems. There are so many options available and a range of consultants and hospitals ready to help, so what do you chose? To help you make a well-informed choice we have put together the key points of Blade Free LASIK laser eye surgery. LASIK is the worlds most common form of elective vision correction surgery as it is quick, painless and it can treat short-sight (myopia), long-sight (hyperopia) and astigmatism. 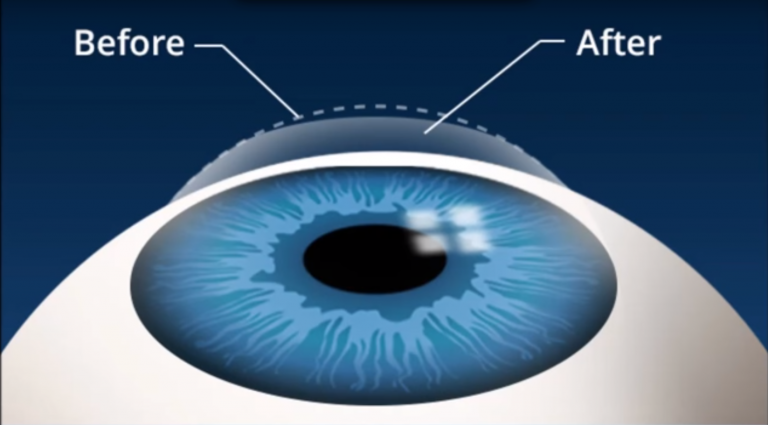 The main aim of LASIK is to use a special laser to precisely change the shape of your cornea. When your retinal surface is slightly bent, this causes the light rays to not be properly absorbed by the eye, which causes blurred vision. The objective of having a laser eye surgery is to correct this bend and therefore give the same eye correction as glasses or contact lenses, by reshaping the cornea itself. Quick and painless (procedure time 20-30 minutes). 92-98% of patients achieve their desired vision after LASIK treatment and complete satisfaction. No blades or stitches required. The flap is then gently lifted. The excimer laser is then used to reshape the cornea. An average 3 diopter treatments need less than 6 seconds of laser application. Following your successful treatment, you will be given a set of eye drops that reduce the risk of any infections or inflammation. These will generally last for the first 4 weeks, however, some patients may require lubrication drops for a little longer. You will be able to see immediately after surgery, vision will improve over the first 24 hours but in some cases, the full results of improved vision may take slightly longer, potentially up to 4-12 weeks. You will have a follow-up appointment one or two days after surgery to ensure the flap is healing correctly. You can continue to have follow-up’s until the eyes are fully stable. After this you will remain under our care for 2 years following your treatment, we positively encourage our patients to stay in touch and let us know if any problems arise. Although the treatment is painless, the eyes may feel gritty following the procedure, this will ease with time and the eye drops will help to soothe this.